5 minutes walk from Harbour beach. 10 minutes walk from town centre. 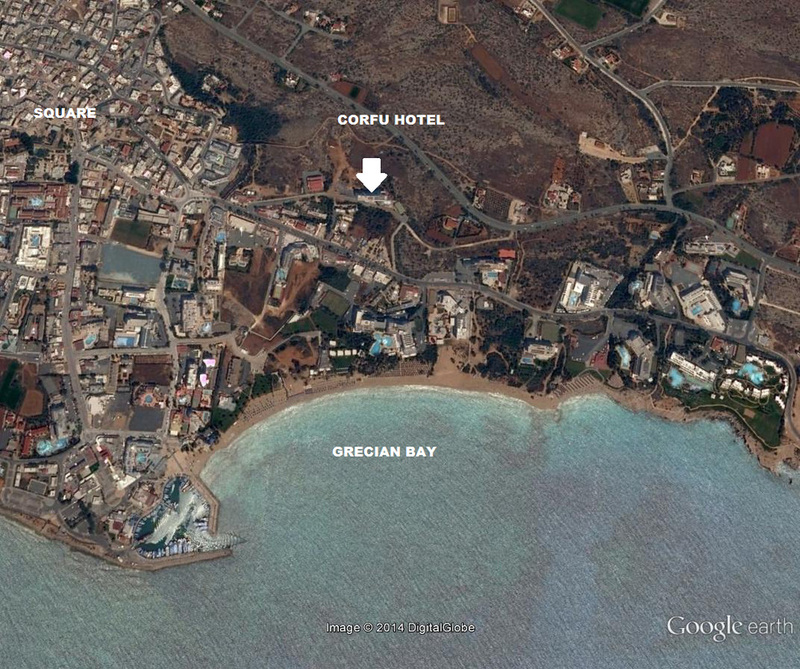 The Corfu hotel has an excellent location on a quiet side street overlooking Grecian Bay. The sandy beach is just a few minutes walk away and the night life in the centre of Ayia Napa can be reached in 10 minutes on foot. The hotel was refurbished and extended for 2013 and is modern and welcoming with 120 guestrooms. All rooms come with TV, air conditioning, balcony and a spa bath in the bathroom. Family rooms are also available. Facilities at the Corfu hotel include a large outdoor swimming pool and a children's pool, an international restaurant with outdoor dining terrace and a pool bar which serves snacks. Also on site are tennis courts, table tennis and a children's playground, Wi-fi is available in all areas.